Desi Bourne once felt like her role as a worship leader was undefined. Although she was part of a team and knew her calling was in music, she didn’t know how to communicate what she needed to feel confident in her ministry. She sought mentorship, guidance and resources in her community in hopes she could develop practical skills and gain clarity in her work. Although there was mentorship and some reading material out there, nothing quite encouraged her like Shift115. 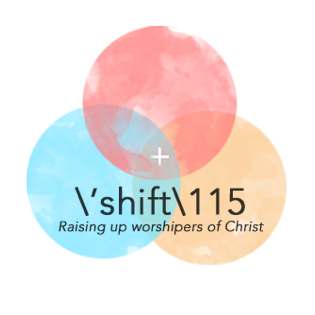 Shift115 Worship Collective is a nonprofit ministry that helps followers center their worship and lives on Christ. Through events and gatherings, they build unity in the Church while equipping worship leaders and teams with the tools and knowledge they need to fulfill their calling. Last year, they began offering Shift115 Worship School, a nine-month process focused on spiritual formation and practical training. Desi just graduated from the program in May. The class met weekly to discuss readings on theology and the history of worship while making time to look progressively into the future of worship, too. There was time for both personal mentorship as well as musical teachings. The program also offered networking opportunities with the community. And she has brought this newfound confidence into her home as well. She says that her boys not only have gained a better understanding of Mom’s worship ministry, they have begun to appreciate unity in the church.